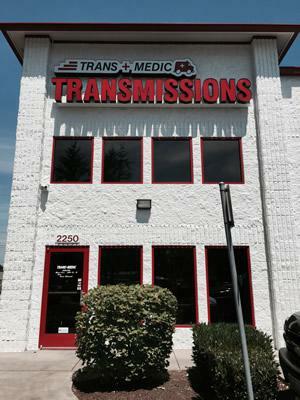 For exceptional transmission repair in Portland, you want Trans Medic Transmissions. Portland is an industrious city where you need to trust your car will stay in gear. Our expert transmission repair technicians have been making that happen for more than 20 years. Our Portland repair technicians perform a wide variety of transmission services. These include scheduled transmission services as recommended by your car manufacturer and complete transmission repair in Portland. Every repair starts with a full diagnosis of your transmission. This testing involves a detailed software scan that allows our technicians to have a comprehensive overview of your vehicles transmission. In addition to scheduled Portland transmission repair, our technicians perform exhaustive Portland transmission repair. Every Portland transmission repair begins with a comprehensive diagnosis. Testing that includes a software scan of your vehicle gives our technicians a complete overview. This allows us to pinpoint problem areas within the transmission itself. If an inspection confirms the diagnosis we will always see if we can perform Portland transmission repair without removing it from your vehicle. This option isn’t always available but allows us to provide you with cost-effective repairs more quickly than the alternatives. We have on-site foreign and domestic Portland transmission repair specialists. That means no matter what country your car originates from, you’ll receive repairs from a technician who knows your transmission inside and out. If you require a transmission rebuild, you’re in excellent hands. With over 60 years of combined experience in Portland, our professional technicians are some of the best in the industry. They’re experienced working with transmissions from every type of vehicle. We’ll always provide the best solution possible to ensure you have the lowest cost and reduced time spent without your vehicle. We even perform diesel transmission rebuilds. Remove and completely disassemble your transmission in order to carefully inspect it for damaged or worn parts. Replace all damaged and worn parts with high quality alternatives. Reassemble your transmission back to its original factory specifications using new bands, seals, clutches and gaskets. Reinstall your transmission and test it to ensure quality completion. When you bring your vehicle to us, you’re getting skill and service a general mechanic cannot provide. Our Portland transmission repair shop specializes in quality work on every type and every kind of repair. We even do clutch jobs and performance transmissions. 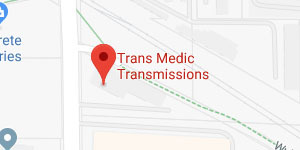 Since our repair shop accepts both Nationwide Warranties & Extended After-Market Warranties if you have coverage, you’re covered at Trans Medic Transmissions. Our service doesn’t just stop there. While your vehicle is receiving Portland transmission repair, you still need to get around Portland. That’s why we provide local shuttle service as well as car rental service. For exceptional Portland transmission repair, Call (503) 667 – 8242 or Contact us today. Serving Portland, Gresham, Troutdale, Sandy, Milwaukie, and Clackamas.